The RightHear App allows visually impaired guests to easily navigate properties. SAN DIEGO—The Keating Hotel here has just added capability for its visually impaired guests to navigate the property easily through the use of a new app. Beacons (Bluetooth low-energy sensors) are installed throughout the property that enable playback of voice information in locations where they are installed. 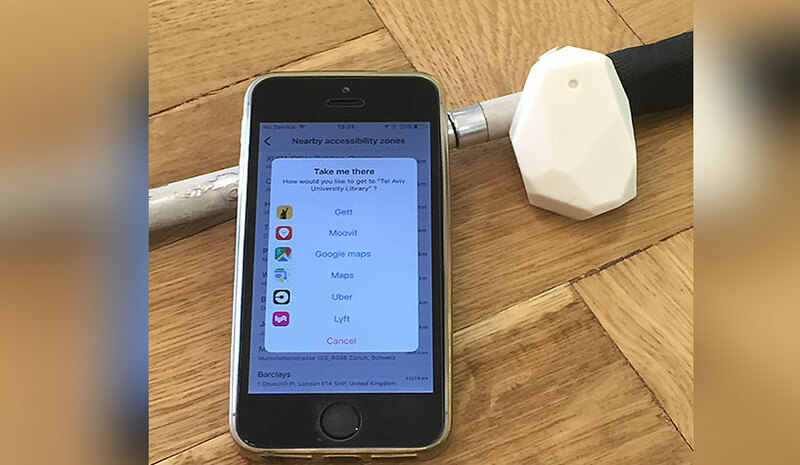 They contain a tiny, smart, self-powered sensor that uses Bluetooth technology to detect whenever a user is nearby. They can typically be found near entrances, restrooms, elevators, stairs or any other points of interest in the venues. The RightHear smartphone application reads the information to the user, allowing them to orient themselves and gives the user the option to call for assistance, if needed. All of the instructions are controlled on an online dashboard interface that is updated by the location’s management. After the number of beacons are chosen, RightHear will install them or the hotel can do it themselves. From there, the beacons are programmed with the information needed using the dashboard interface.